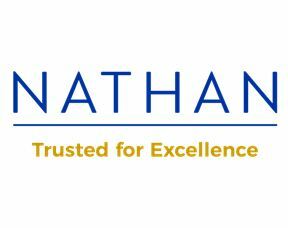 Nathan is a private international economic and analytics consulting firm that works with government and commercial clients around the globe to deliver practical solutions and achieve lasting results. Whether building frameworks for economic growth or navigating regulatory hurdles, securing infrastructure financing or evaluating and assessing disputes, Nathan’s experts serve as trusted partners, offering clients the analysis, technical advice, and strategies they need for sound decision-making.Known for both technical and service excellence, Nathan has corporate offices in the US, UK, and India and more than 25 program offices around the world. The aim of this project is to support ongoing reforms with key government, private, and civil society actors in Ghana to advance improvement of the country’s domestic revenue mobilization and trade facilitation performance. These positions will report to the Project Manager in Ghana and to the Nathan home office Project Director. We are particularly looking for people with experience engaging in effective economic reforms in Ghana or similar countries. • Experience working on DFID, USAID, EU or other donor-funded programs. • Significant work experience in Ghana and/or Sub-Saharan Africa a plus.